Part of competition BBQing is creating your own spice rubs and sauces. These need to compliment each other, but the starting point is with a unique spice rub. People will go to extraordinary lengths to create the most amazing flavour profile they can think of and will then lock it away as a deep, dark secret. At Smoking Hot Confessions, that’s not what I’m about. I’m about passing on what I’ve learnt. With that in mind, here’s how I created my secret ingredient for this competition: home-smoked chilies. I started with a kilo of chilies from the Farmer’s Markets in Burleigh. It was a bit of a trip: I had to go to three different markets before I found chilies, but it was worth it. These are organic, farm grown chilies and I got a full kilo for just $9.50. Bargain! This worked really quickly, but didn’t sit well with me safety-wise: it was spitting out sparks down through the gas burner. It got me out of a jam here, but I wouldn’t use it regularly. Then it was time to prepare my chilies to be smoked. I chopped the ends off the chilies and made sure to lay them across the grill so that they wouldn’t fall through. I had enough to fill up both levels of my smoker so I put it together, added some apple wood for the smoking and left it to do its magic. After an hour and a half I went and checked the chilies and swapped the levels in the smoker. They were drying nicely and smelled amazing. I put the smoker back together and left it alone for another hour and a half. After this, they went in the dehydrator for 24 hours. By this stage, the chilies were deep maroon, caramelised by the heat and smoke, and crispy: ready to be powdered. How's that for beautiful colour? 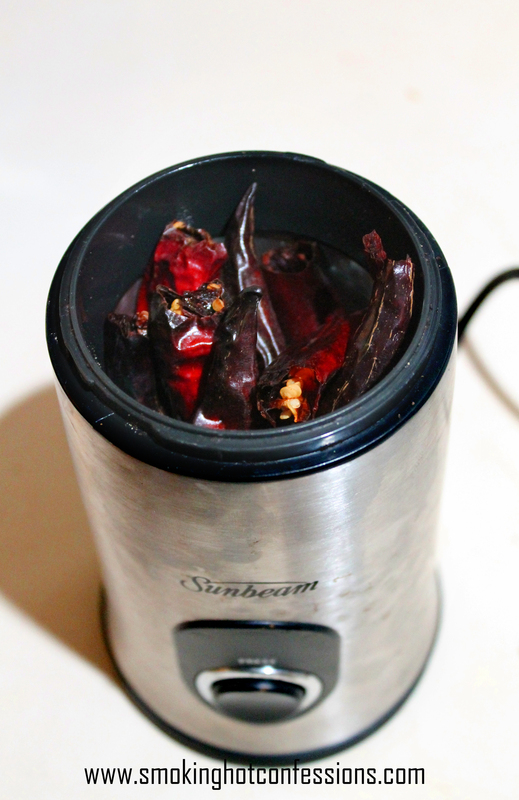 I powdered the chilies by putting them in a grinder specifically made for coffee and herbs. Now here’s a lesson folks: as tempting as it is, when you take the lid off the grinder for the first time DO NOT stick your nose in the top to have a big sniff despite how curious you may be. I effectively maced myself. I stuck my nose right in there and had a big sniff. My nose and throat burned, I coughed myself hoarse and my eyes instantly teared up and stayed that way for five solid minutes. In short, I was a mess. Once I cleaned myself up I managed to make it through the rest of the chilies and here is the final product: a big baggy of delicious, spicy, aromatic smoked chilies. And this folks is going to be my secret ingredient for the competition. Stay tuned for more as I practice for the big day. What’s your favourite secret ingredient? Let me know in the comments below. All bagged up and ready for action! 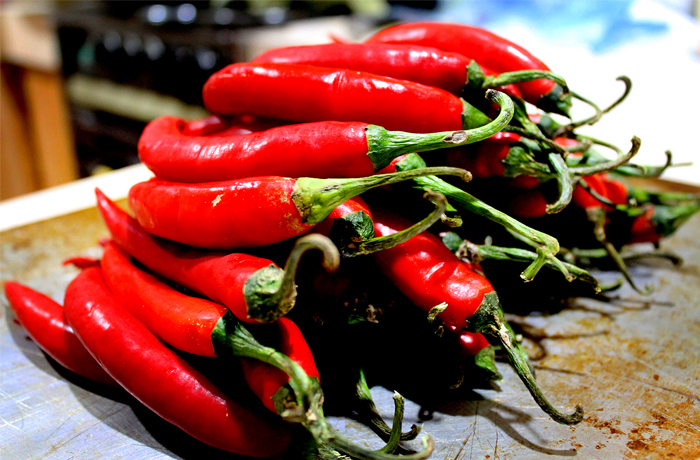 Was wondering what kind of Chili’s those are and how hot are they? Those are just the run of the mill plain red chillis. I usually buy them from the organic farmers’ markets, but have been known to buy the entire stock at the local supermarket in a pinch! Seriously though, this is awesome spice that you can use to add a bit of smokey heat to anything. Give it a crack and let me know how you go.